Okay. 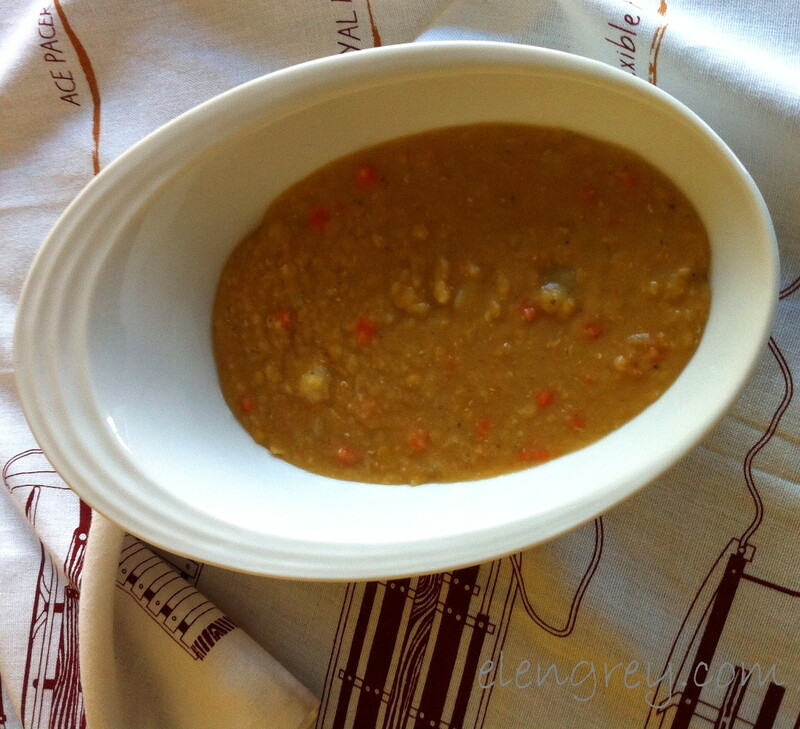 For the third week of #pulsepledge at the Elen casa I decided to throw together this Lemony Red Lentil Soup from Thug Kitchen: The Official Cookbook. (2014) It’s all about the vegetable in Thug Kitchen. Well, the vegetable +. Be advised… this cookbook is written with humor and PG-13 language. You have been warned. Why this recipe you ask? Not what Duke Ellington and Bing Crosby had in mind. — my second favorite color. — January is soup month. And soup is the love of my kitchen life. This recipe is the chopper. It’s all about the chop, dice, mince. The olive oil is missing! The olive oil is missing! Throw a teaspoon of olive oil — I used more because… me — in a decent sized soup pot. I used an ancient stainless steel Dutch oven because the size was right. Add a small diced onion and let it cook until it’s nice and translucent. About 3 mins. 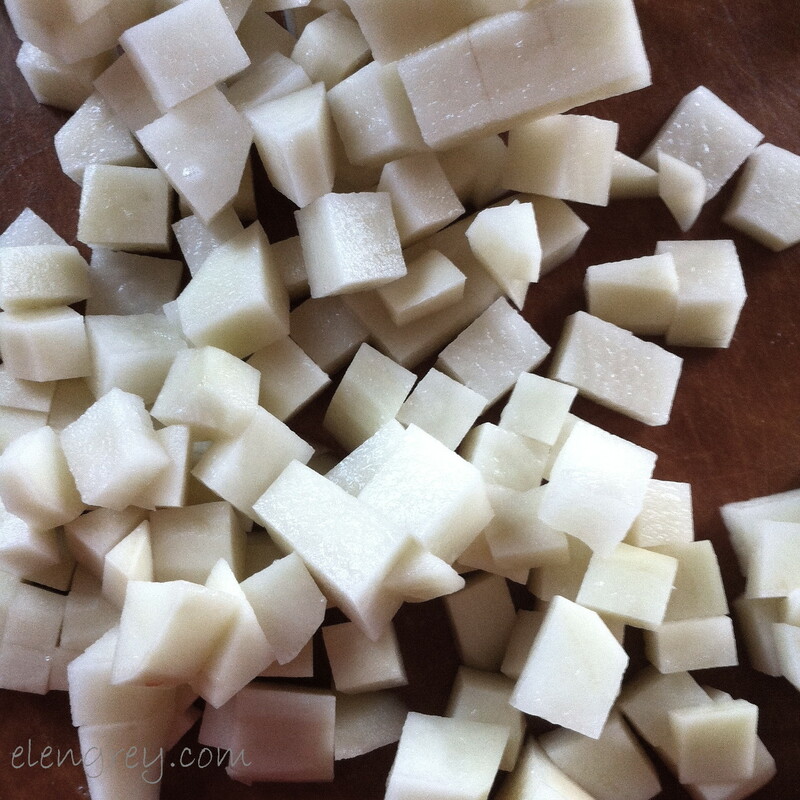 Then add a cubed baking potato (Russet) and a chopped carrot. Mix it up and sauté for another couple of minutes. Then add 1 tsp of ground coriander and 1/2 tsp of ground cumin and two cloves of minced garlic. Smell the joy! Give it a quick 1/2 min twirl around the pot. It’s got the twirlies, man! Your job is adding and stirring. Now add 1/4 tsp of salt and 6 cups of chicken broth (your choice) and 2 cups of rinsed red lentils. Simmer (uncovered) the lentil-potato-carrot pot until the lentils are tender and falling apart. THUG says 15-20 mins, but I have to say I simmered longer because the carrots and potatoes were not tender at that point. 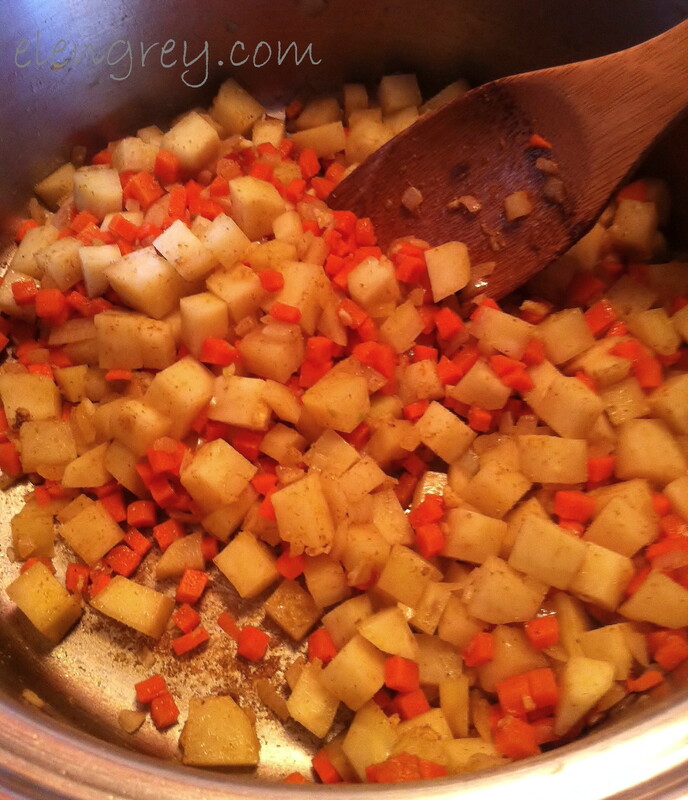 Next time I make this I will let the potatoes and carrots get a head start cooking in the broth until the potatoes are nearly done, and then add the red lentils. Just sayin’. Maybe your stove is different. Maybe your pot is different. Maybe your potatoes and carrots are different. Different strokes for different folks. Life is just a song. Now add 1/4 tsp of lemon zest and 1 tbsp of lemon juice. If chunky lentil soup is your thing, stop now. 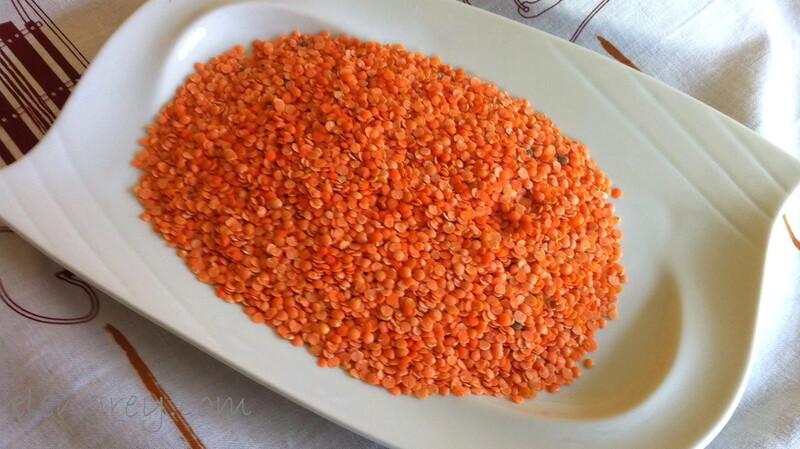 Ladle that red lentil goodness into a bowl and get eating. Blow on it first. It will be hot. Hawt! For a creamier texture, blend up half that soup in a blender or with an immersion blender. Or you could do 1/3 to 2/3. Or you could blend the whole dang thing. It’s your pot. If the thickness is not to your liking, you know what to do. Add more broth. Go ahead. Eat it in a pasta bowl! G-Man declared it delicious. I concur. Especially loved that lemony kick. Thanks, Thug Kitchen! 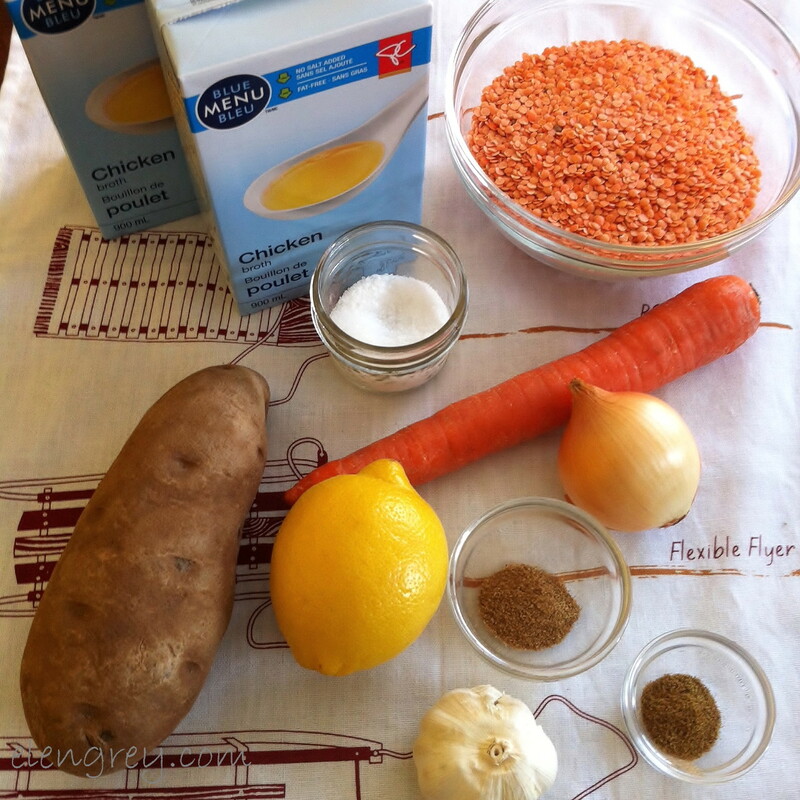 We’ll be making the Lemony Red Lentil Soup goodness again and again. Show it some pulse love.